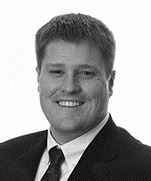 Martin Rice is a member of Dentons' Real Estate practice and Banking and Finance practice. His practice is focused on commercial real estate transactions, with an emphasis on acquisition and disposition, development, real estate finance and leasing. Martin represents clients locally and throughout the United States in connection with their commercial real estate needs. He regularly serves as counsel to various industry stakeholders, including developers, loan servicers, banks and other lenders.